Extensive trial and error; the school of hard knocks, I guess you can say. I am currently tracking/mixing/mastering a Beach Boys-influenced band called Parakeets and also my own tunes. Trying not to get my plate too full right now. 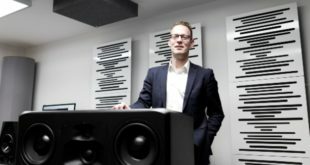 I am opening an online audio store called Armory Audio (www.ArmoryAudio.com). Once that gets rolling, I am going to focus more on engineering. I just moved back from Nashville, TN so I do not have my own studio space but I rent out others between here (Tucson, AZ) and Phoenix, AZ. I’m also trying to get out to LA sometime soon. I just sold my modded Soundcraft 6000, but I’m looking at getting an AMEK 2500. Yes, I try to mainly stay out of the box when using compression and EQ. However, I don’t use too many effects out of the box. I change my mind extremely often with reverbs and delays; it’s much more effective for me if I stay inside the digital realm for that matter. When I use effects, I mainly use slight delay and a little bit of reverb on vocals. If I have a really dry tracking room, I’ll use reverb on a drum bus or a crushed drum bus. The console of my choice or my wallets choice?! I would love to own an SSL 4k, but for now, I really enjoy working on an AMEK or Trident 80s. If you could work with any band/artist who would it be? If I could work with any band/artist it would have to be The Gaslight Anthem or The Mars Volta.